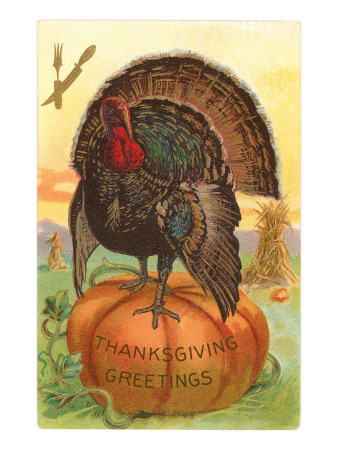 November 4, 2016 9 Comments This post may contain affiliate links. One of a kind gift ideas that you don’t have to make yourself. 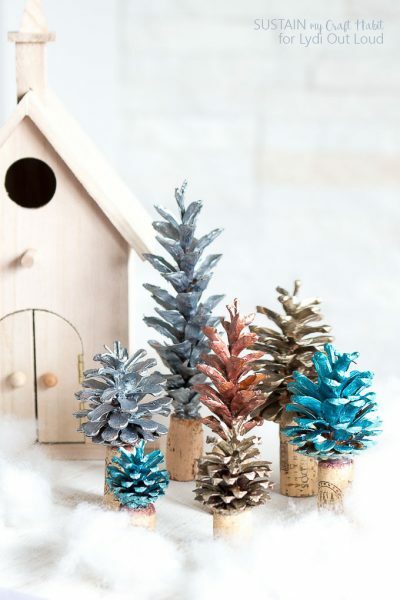 Give a crafty thoughtful gift with the click of a mouse! When the holidays roll around and you want to give a one of a kind gift but you don’t want to have to make it…Etsy is your friend. This Etsy gift guide is extra special to me because I know most of the store owners or at least know their blogs. These shop owners are immensely creative and work incredibly hard to bring unique, one of a kind items to life. 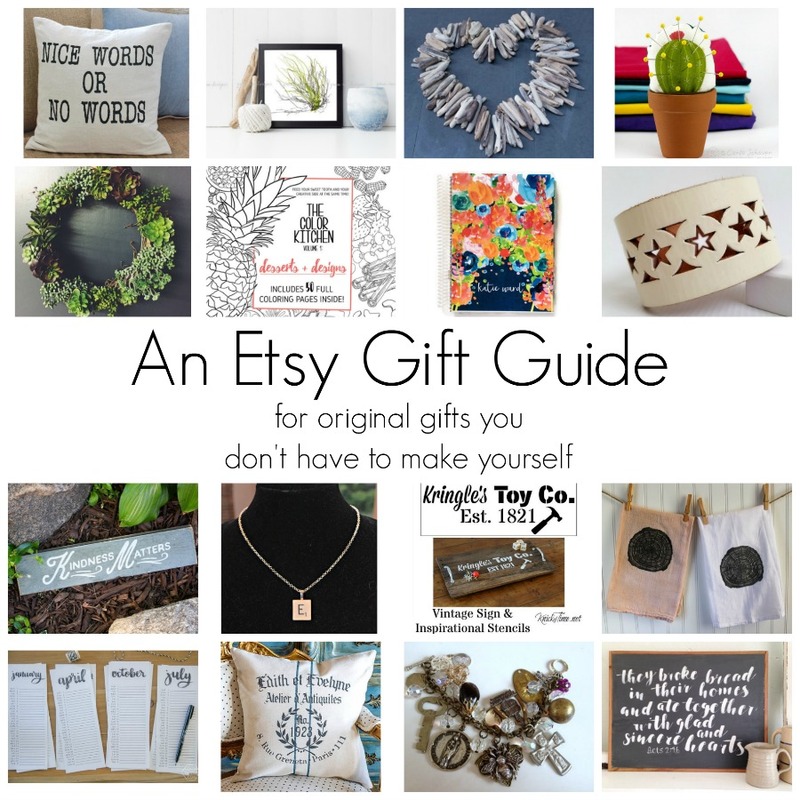 Etsy can be overwhelming if you just pop over with no destination in mind, so for this Etsy gift guide I am sharing some of my favorite stores and gift ideas to get you started. Every Etsy shop owner below has more than one product in their store, I just picked one of my favorites to share. I hope you’ll take a minute to peek around! It’s also good to know that most of these present suggestions are under $25, many are even less! If this is your first time shopping on Etsy make sure and “favorite” the shops you like so they are easy to find later! Please note these are affiliate links which means should you make a purchase I might get a small commission, but your price stays the same! 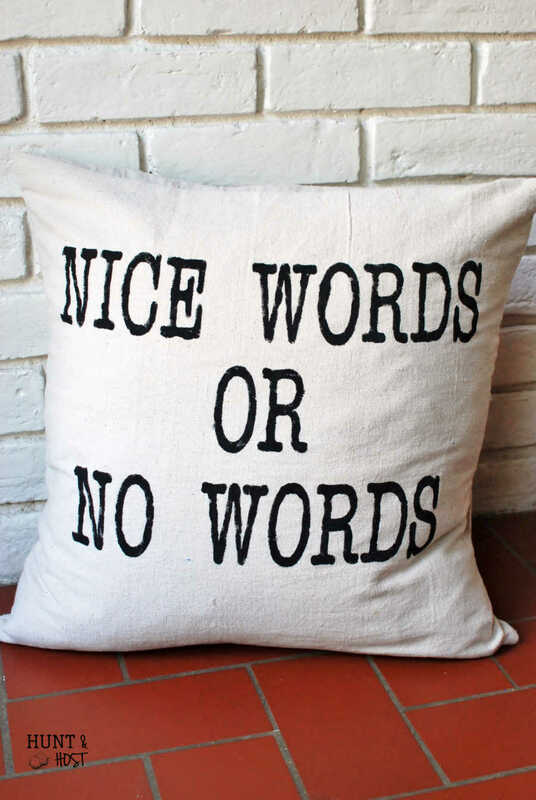 Nice Words or No Words T-shirt or Pillow – A shameless plug for my store! 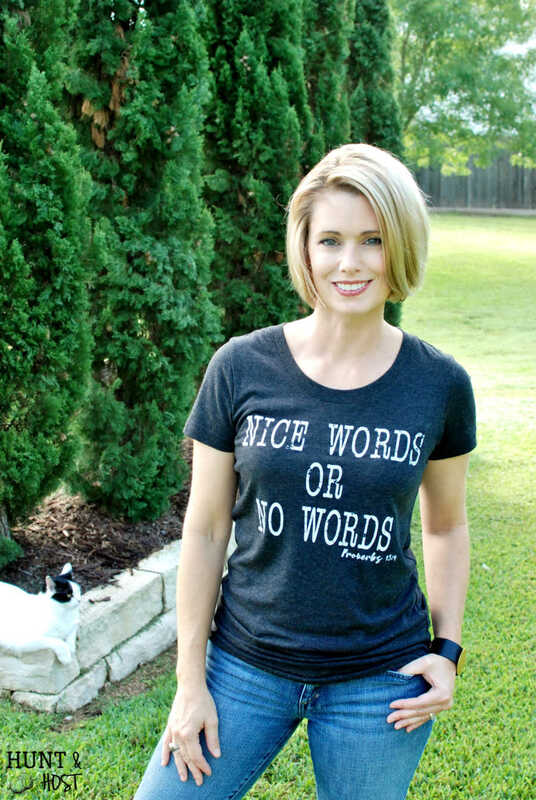 This shirt or pillow cover would be perfect for the worn out mama, school teacher or leader in your life! 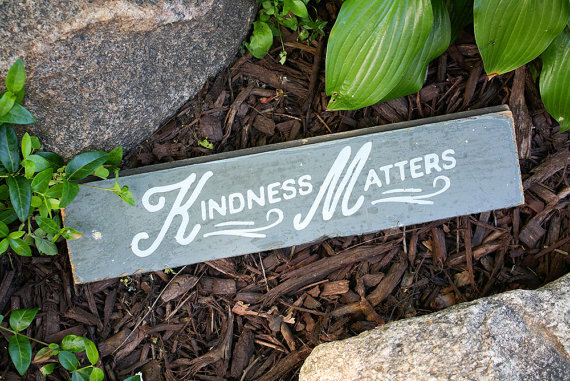 Kindness Matter Sign – Kristy has a variety of other signs and goods, some made from vintage tin! 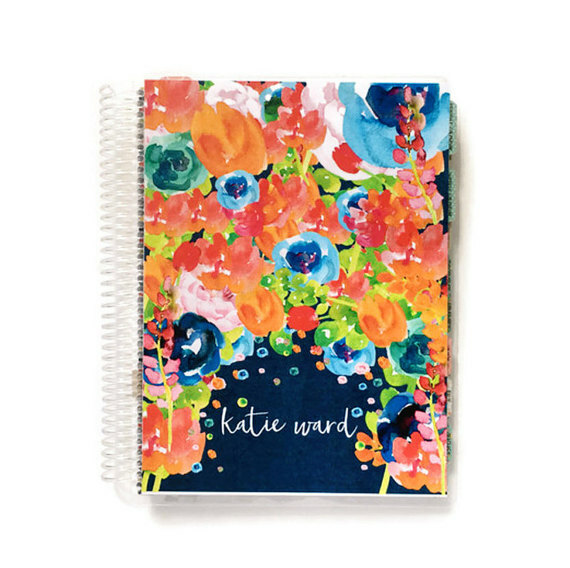 2017 Day Planner/Calendar – Katie’s planners are awesome, I use one myself! 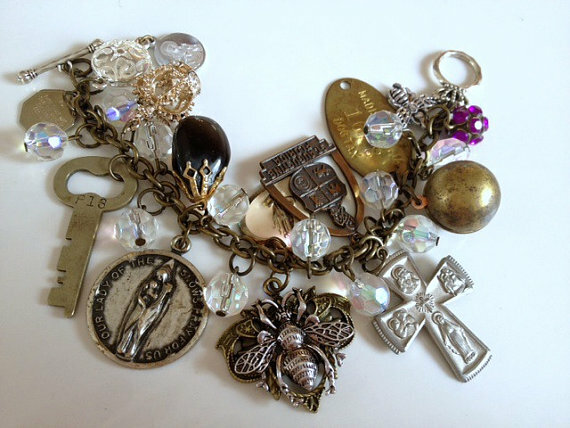 She also carries Bible tabs, Bible journals and other various paper goods to help you in your spiritual walk. 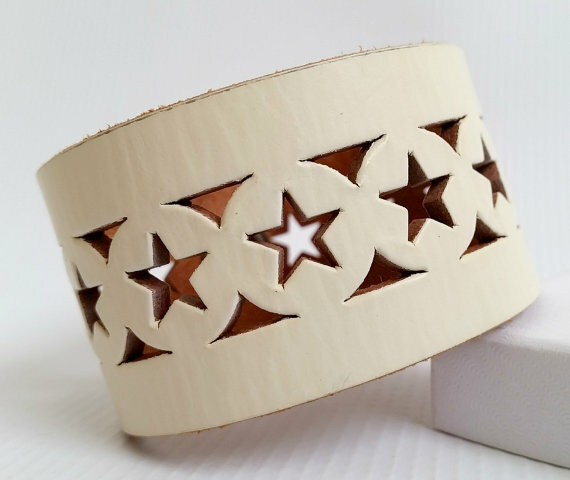 Leather Cuff Bracelet – Sarah has tons of vintage find…from vintage Christmas to random décor, but her cuff bracelets are a fav of mine! 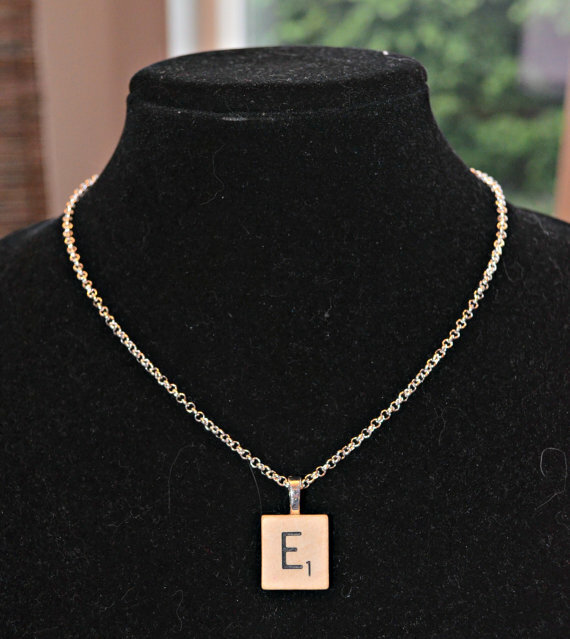 Scrabble Tile Pendant Necklace – Nothing beats a personalized gift, these are inexpensive and CUTE! 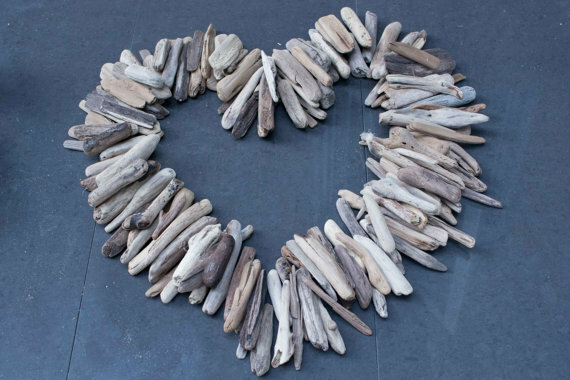 Driftwood Heart – I love everything these ladies do! You have to check out the driftwood buttons and warm headwear they make! 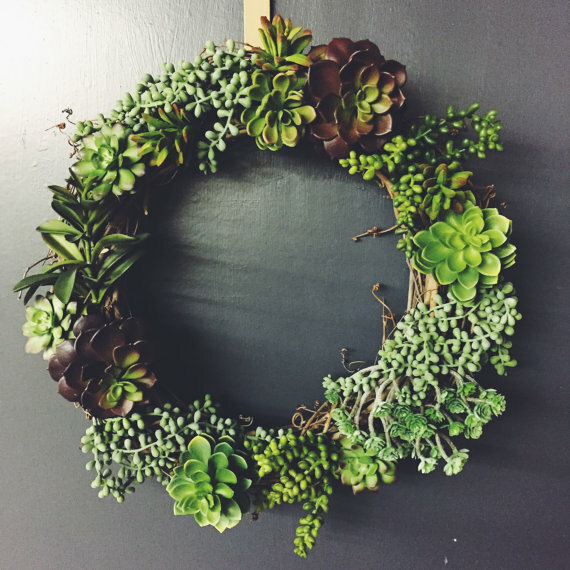 Faux Succulent Wreath – I am lucky enough to get to shop local with these guys…their store is gorgeous! 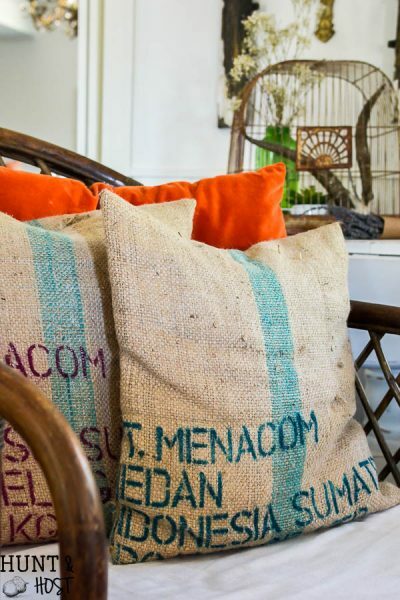 You can have a piece of their hand crafted goodness through their Etsy shop. Check out their blanket ladders! 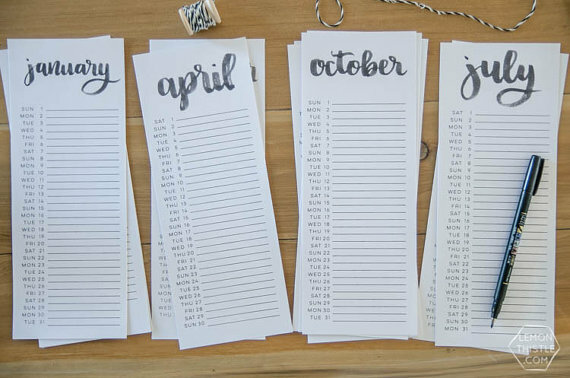 2017 Hand Lettered Calendar (3 designs) Download – Colleen has that gift of great handwriting we all wish we had, This digital download means you could print gifts for all your friends! Everyone needs a calendar, why not make it precious! 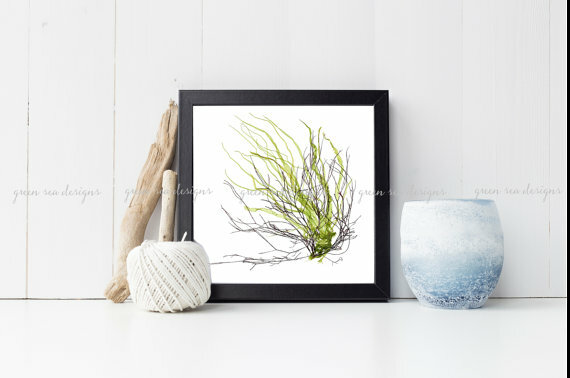 Marine Algea/Seaweed Print– I am blown away by the beauty these two ladies create! If you have an ocean lover on your list, you have to see these prints! 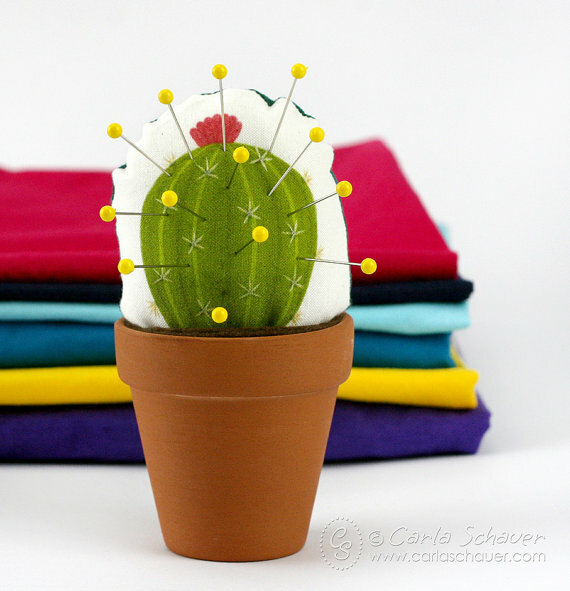 Cactus Succulent – I could hardly choose just one of Carla’s cute items to highlight! Tons of fun stocking stuffers are waiting in her shop. 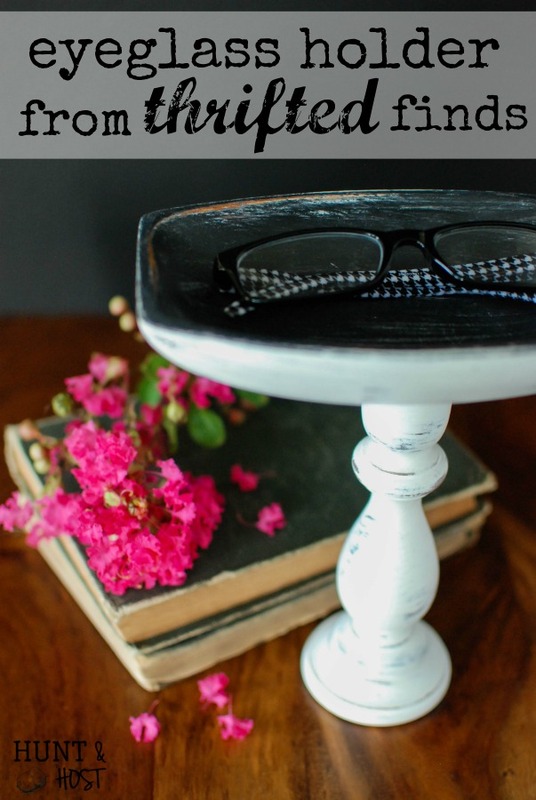 Be Thou My Vision Stencil – For the crafty lady on your list. 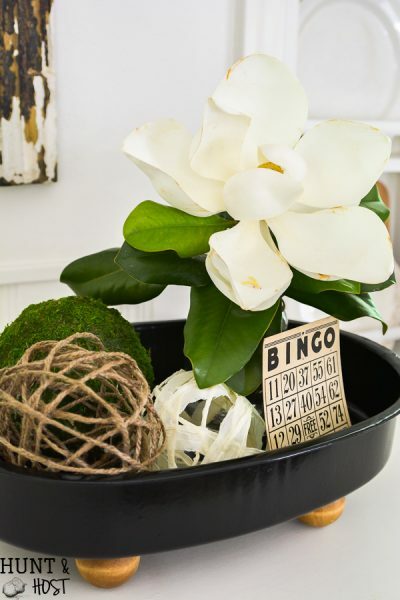 Stencils are great to give or if you do want to make your own gifts this is a great tool! 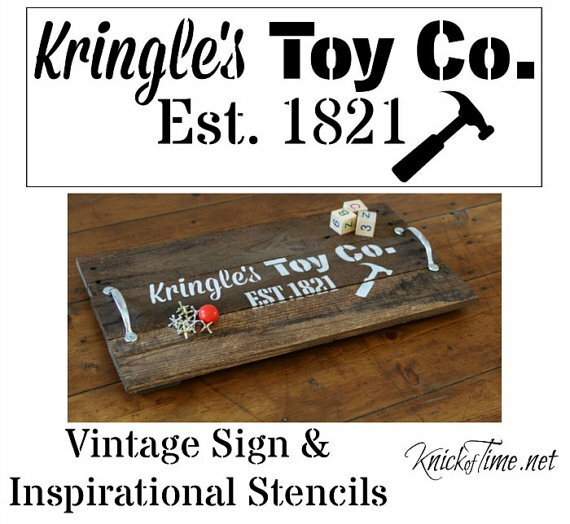 Christmas Stencil – Angie is one of my favorite bloggers and she has some other farmhouse stencils to choose from. I thought this Christmas one was a fun choice! 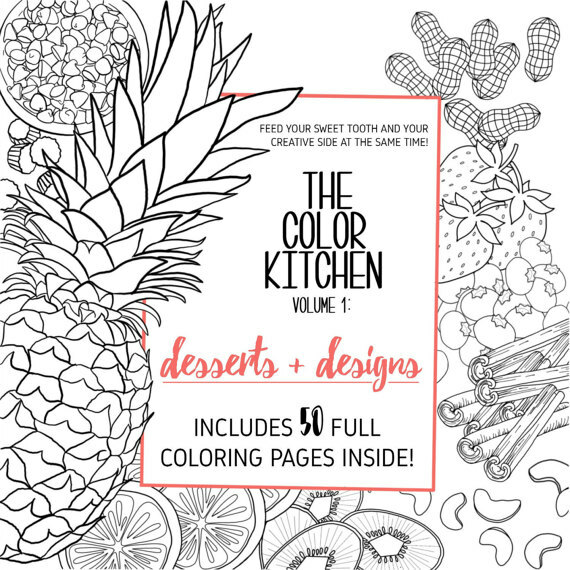 Adult Coloring Recipe Book: The Color Kitchen – My daughter might be getting this for Christmas (shhh) How cute is an awesome cookbook AND soothing coloring book all rolled into one? 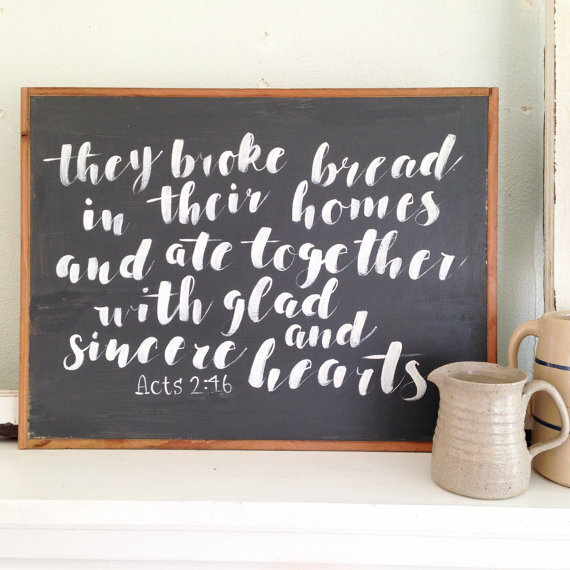 Acts 2:46 Hand Lettered Sign – Gorgeous. Perfect for any home on your gift giving list this year. Amber has a variety of signs in her shop, but this one is simply stunning! 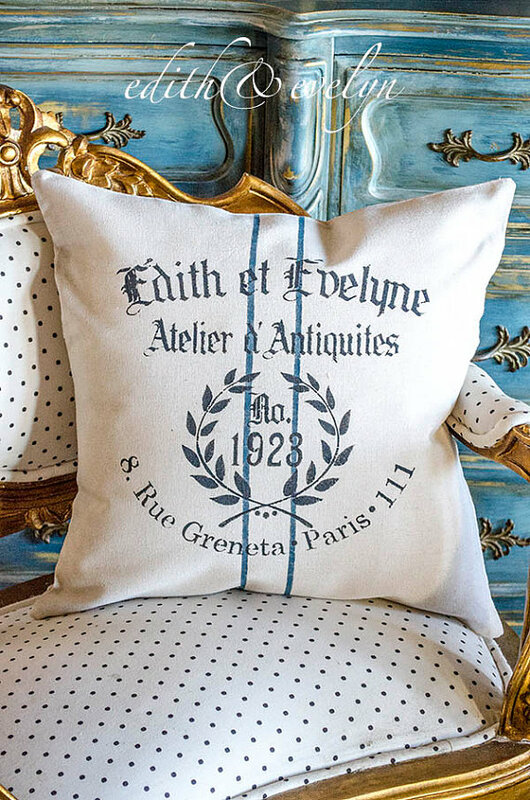 Hand Stamped Antique Style European Grain Sack Pillow – This store is loaded with vintage European finds, you are bound to find something unique for the hard to shop for person on your list! 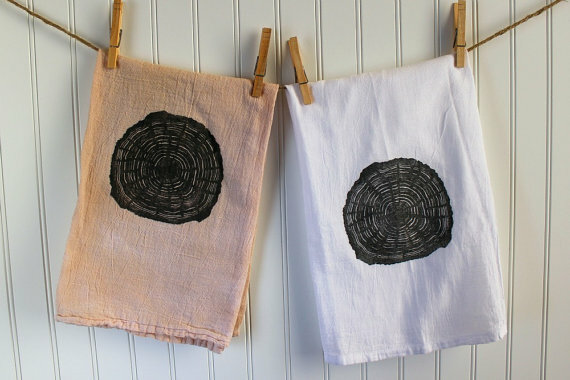 Hand Printed Tree Ring Tea Towels: Meredith makes cute tea towels and other hand stamped items in her cheery Etsy shop. In case you didn’t get enough ideas you can check out the Etsy Editor’s Pick Page, they highlight gift ideas for a variety of categories! Happy Etsy shopping! Great ideas! Thanks for taking the time to look for these! There are so many amazing people on Etsy!!! 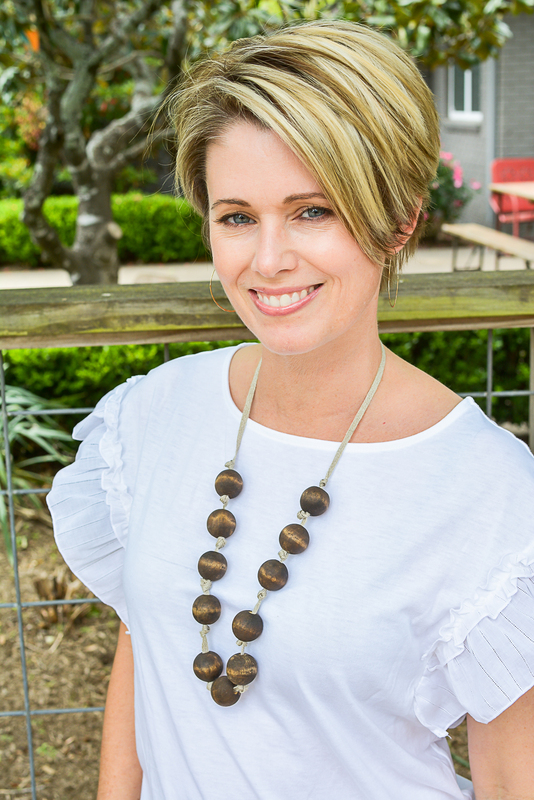 Thanks so much for including my shop in your gift guide,Kim! It’s so fun to see all the other Etsy shops I wasn’t familiar with. FABULOUS gift guide! You know that leather cuff had me swooning! You’re so welcome! Aren’t they the best!? I get overwhelmed when I am on Etsy!! Maybe you can help? I am looking for a chunky silver ring with a simple cross on engraved into it. Any ideas of shops I can try? I know – it can be too much sometimes! Try searching for key words and always favorite things or shops you like so you can find them again. I am not sure if she has rings but this shop has super unique jewelry I love: https://www.etsy.com/shop/PlumAndPoseyInc you might try it…good luck! let me know what you find!